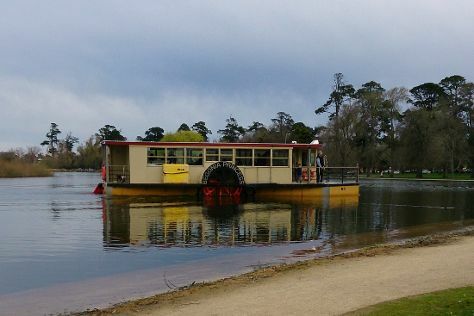 Start off your visit on the 25th (Sun): look for all kinds of wild species at Ballarat Wildlife Park, browse the exhibits of Art Gallery of Ballarat, and then explore the activities along Lake Wendouree. For maps, ratings, more things to do, and tourist information, refer to the Ballarat trip itinerary planner . Kuala Lumpur, Malaysia to Ballarat is an approximately 12.5-hour combination of flight and shuttle. You can also do a combination of train, flight, and shuttle; or do a combination of bus, flight, and shuttle. Due to the time zone difference, you'll lose 2 hours traveling from Kuala Lumpur to Ballarat. In August, Ballarat is much colder than Kuala Lumpur - with highs of 17°C and lows of 5°C. Finish your sightseeing early on the 25th (Sun) so you can drive to Apollo Bay. Apollo Bay is a coastal town in southwestern Victoria, Australia. 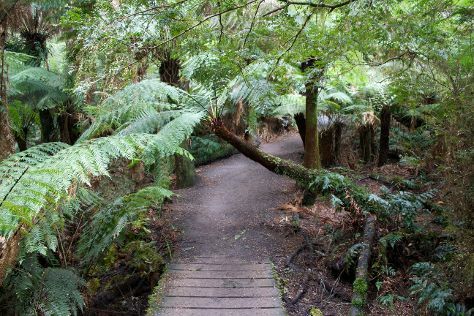 On the 26th (Mon), delve into the lush surroundings at Mait's Rest, tour the pleasant surroundings at Great Ocean Walk, and then look for gifts at High on Heels. To see traveler tips, photos, ratings, and other tourist information, read Apollo Bay trip itinerary builder site . You can drive from Ballarat to Apollo Bay in 3 hours. Alternatively, you can take a bus; or do a combination of train and bus. Finish your sightseeing early on the 26th (Mon) to allow enough time to drive to Warrnambool. Warrnambool is a regional centre and former port city on the south-western coast of Victoria, Australia. On the 27th (Tue), enjoy the sand and surf at Logan's Beach, examine the collection at Flagstaff Hill Maritime Village, then identify plant and animal life at Thunder point Coastal Reserve, and finally get impressive views of Tower Hill Wildlife Reserve. To see other places to visit, ratings, traveler tips, and tourist information, refer to the Warrnambool trip itinerary maker app . Getting from Apollo Bay to Warrnambool by car takes about 3 hours. Other options: take a bus; or do a combination of bus and train. Finish your sightseeing early on the 27th (Tue) to allow enough time to drive to Bendigo. 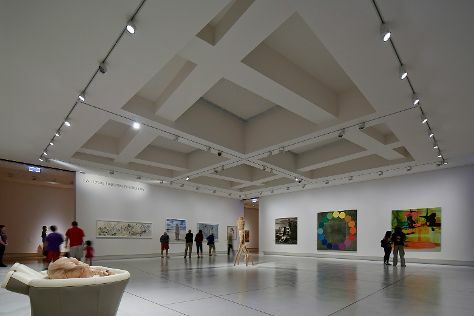 On the 28th (Wed), take in the exciting artwork at Post Office Gallery (Bendigo Art Gallery), admire the masterpieces at Bendigo Art Gallery, admire all the interesting features of Central Deborah Gold Mine, then admire the striking features of Sacred Heart Cathedral, and finally take in nature's colorful creations at Rosalind Park. To see maps, photos, where to stay, and more tourist information, use the Bendigo online day trip planner . You can drive from Warrnambool to Bendigo in 4 hours. Alternatively, you can do a combination of flight and train; or take a bus. Wrap up your sightseeing by early afternoon on the 29th (Thu) to allow time for travel back home.